Key Leadership | Hartzell Propeller Inc. The Hartzell Propeller leadership team is tasked with keeping Hartzell at the forefront of innovation and excellence. Here are the key leaders of our organization. Joe is President of Hartzell Propeller and COO of Tailwind Technologies Inc., a holding company that owns aviation manufacturing businesses including Hartzell Propeller, Hartzell Engine Technologies and Mayday Manufacturing. He has worked in aviation manufacturing for 24 years and specializes in defining and implementing operational strategies that promote product and manufacturing innovation, business growth and improved operating metrics. Joe is deeply involved in the General Aviation industry and is a member of the Aircraft Owners and Pilots Association, EAA and IMC Club while serving on the boards of Experimental Aircraft Association, IMC Club and General Aviation Manufacturers Association. Joe is an instrument rated pilot and flies about 300 hours a year for work and recreation. Joe Brown is a Phi Beta Kappa graduate of Middlebury College. JJ leads the day-to-day business team at Hartzell Propeller as well as our marketing and brand-building efforts. After ten years at Procter and Gamble, he has developed broad experience in sales, marketing, operations and finance. Bruce joined the company in 2002 following 24 years of progressively responsible roles with highly respected aerospace companies. 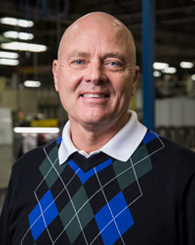 As part of the executive team, Bruce focuses on continuously improving Hartzell products, technologies and design practices. Hanke’s background includes 18 years at Pratt and Whitney Engines where he served in numerous engineering and management roles. He worked on several turbofan certification programs as well as product design and development. He also served for 6 years as the Director of Advanced Engineering with Heico Aerospace. At Hartzell Propeller, Bruce has led the development and FAA certification of numerous new products and manufacturing processes (ASCII composite blades, propeller deice system, compact governors and light-weight propellers). Bruce holds a Bachelors of Science in Mechanical Engineering from the University of Hartford. Burt is responsible for leading the Quality, Supply Chain, and Environmental, Health & Safety activities. 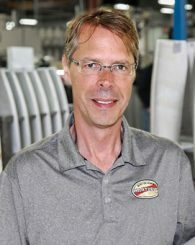 He joined Hartzell in June 1995 as the Manager of Special Processes. Throughout his tenure with Hartzell he has had the opportunity to hold many leadership roles, including Plant Engineering, Manufacturing, FAA Relations, Health & Wellness, Medical Plan Design, Quality, Nondestructive Testing, Environment, and Health & Safety. As a result of his broad experience at Hartzell, he has developed specific skills in lean manufacturing and waste reduction, process control, regulatory compliance, and business strategy. Burt holds a Bachelor’s degree in Chemical Engineering and a Master’s in Materials Engineering from the University of Dayton. He is a private pilot well into his instrument rating, and a member of AOPA and EAA. 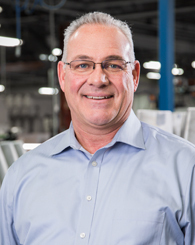 Gary has been part of the Hartzell team since 1987 and has led our factory repair, airline support, and product support groups before taking the helm of our OEM sales team in 2011. Born in Germany and raised in California, Gary previously spent six and a half years as an airline maintenance specialist and crew chief for the 4950th Test Wing at Wright Patterson Air Force Base in Ohio.He has a lifelong passion for aviation and is certified as an FAA Private Pilot (Single Engine Land), FAA Propeller Repairman, and FAA Repairman (Experimental Aircraft Builder.) Gary has constructed an experimental aircraft and is President of the Hartzell Employees Flying Club. In addition, he is a member of EAA and AOPA. 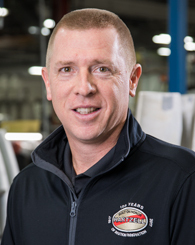 Through his 30+ years with Hartzell, Dean has gained wide ranging experience that uniquely qualifies him to lead our Aftermarket Parts and Service Team. Dean’s team is responsible for Aftermarket Sales and Customer Service, Forecasting, Export Compliance, Shipping and the Hartzell Service Center. 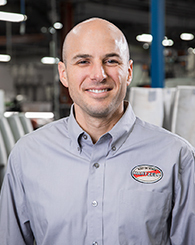 Dean has embraced roles in several areas of the company including Manufacturing, Product Support, Quality, Sales, Service and Business Planning. He naturally gravitates to roles that provide opportunities to interact with Hartzell’s customers, recognizing that they are a primary key to Hartzell’s success. 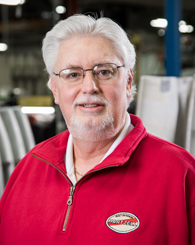 He has been instrumental in implementing changes that have improved our delivery performance, shortened order lead times and strengthened our position as the primary distributor of Hartzell products. He is actively involved in a number of civic organizations including Positively Promoting Piqua and the Miami Valley Corvette Club. He is an aviation buff, having designed, built, and flown airplane models since childhood. He is particularly proud to have assembled the propellers used on the Voyager’s World Flight. The Voyager is currently displayed in the main hall of the Smithsonian Air and Space Museum in Washington, DC. Since 2008, Heidi has been responsible for strategic compensation and benefits, talent development, hiring, employee relations and the full gamut of human resources responsibilities for Hartzell Propeller. 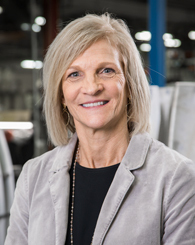 She joined the Hartzell team after compiling a wealth of experience in other manufacturing operations including twelve years at Honda of America. Heidi also spent seven years serving the industry as an independent HR consultant. A graduate of Miami University, Oxford she earned a BS in Business with a double major in Human Resources and Marketing.When away from the Hartzell headquarters, Heidi has volunteered for the American Heart Association, and served on boards for Overfield Early Childhood Program and Dayton Children’s Medical Center. She also has a strong interest in fitness, health and wellness, reading, cooking, and following her children’s hockey, tennis, soccer, and swimming adventures.